EIN's TOP TEN of 2005. EIN selects the best Elvis books, CDs, DVDs & Events of last year. Was 2005 a good year for Elvis new releases? Was there a book or a CD that really stood out amongst the plethora of Elvis material that was pumped out to unsuspecting Elvis fans? Well EIN has combed through its boxes of 2005 goodies and come up with our Elvis TOP TEN of 2005. We also include some worthy runners-up - and two real disappointments. Here we present our choice of the Best Elvis releases of 2005. So if you have any Christmas present money left over, then why not let EIN help you select an Elvis treat? Once again the ‘Follow That Dream’ collector’s label provided most of this years’ real highlights. 'Elvis Is Back!' – FTD Double deluxe CD. demonstrates the importance of FTD’s release policy since it perfectly illustrates the creativity of these special nights in Nashville. With most tracks represented by 2 or 3 takes, the real excitement of Elvis and the band progressing towards the faultless Master is skilfully represented. The new studio banter featured on most tracks is also a fascinating eavesdrop on the group at work. Flawlessly compiled & with perfect sound too this is FTD’s best ‘complete work’ so far. As a deluxe double CD, at a bargain price, every Elvis fan should buy a copy but beware, once you start listening, it is very hard to stop! he sure sounds in fantastically high spirits and nothing is going to stop him having fun. Losing his way Elvis comments, "I'm about as cool as a bull-elephant, in heat!.. .. They don't think!" Elvis' laughter is truly infectious – an essential purchase. 'Elvis on Tour - The Rehearsals’ FTD CD. genuine recording for 'Standing Room Only' the studio LP version, it is that good! The genuine treats are to get songs like 'Never Been To Spain', 'Release Me', 'See See Rider' and the sensational 'Johnny B. Goode' as "studio versions" & without any orchestra backing or overdubs. Elvis often takes the songs at a slower pace than he would on stage which also gives a more relaxed, sincere feel to the songs, especially the ballads. This is the "cream of the crop" of the 'On Tour' rehearsals and hopefully a taste of the future 'Elvis On Tour' box-set. The more one listens to this CD the more faultless it sounds. 'A Legendary Performer Vol.5' – Madison CD. This is a real homage to old RCA producer Joan Deary with its fabulous quality 16-page "bonus booklet", just as RCA's original ‘Legendary LPs’ were! It is clever, very stylish and cheeky, all at the same time! 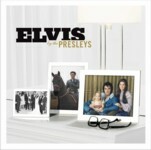 While the packaging must be the highlight there is plenty on the CD to enjoy, especially Elvis' studio banter & asides. With a song section running from Elvis' 1956 advert for the "Victrola" gramophone to the 1976 live 'And I Love You So' the journey is a strange but fascinating one, which reflects nicely on Elvis' own life. This is so clever, and with such exceptional packaging, that I only wish FTD had got there first as an official release. books, the text is very illuminating and the anecdotes told by people present at the time all help embellish the history of Elvis' early years. 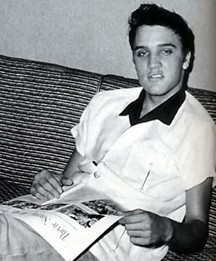 There are also plenty of tales of Elvis' newly found girlfriends along the way! The journey is a truly fascinating one from Elvis, Scotty & Bill playing to just a handful of customers in Nov 1954 at The Mint Club continuing to his jam-packed sold-out performances in his final years. There is plenty to savour as you witness the pressure on Elvis, including his transportation problems, as they rush from one concert to another. Combined with two concert CDs, Amarillo, June 19 1974 and Fort Worth July 3, 1976 it’s a lovely combination. With a quality design and fascinating tales to read there is plenty to explore here. This is a book that you can really get absorbed in. 'Dewey and Elvis: The Life and Times of A Rock 'n' Roll Deejay’ by Louis Cantor. You cannot help but be enthralled by the larger than life story of Dewey Phillips - its spirit, pleasure, its pain, its pathos. Dewey's story is rich in detail, rich in substance and rich in color. From his unique style and eccentric studio behaviour to his womanising and eventual self-destruction in a body tormented by physical pain only partially placated by pills and booze, Dewey Phillips' life is a riveting one. "Elvis and Dewey" gains much of its strength from extensive research, and the more than 60 interviews conducted. These elements are nicely complemented by the author's personal perspective on the events he is writing about. Historically, the importance of Dewey Phillips in the Elvis story has not been well chronicled and this excellent book rectifies this surprising gap. It is a vibrantly colorful and engaging story that will make you laugh and make you cry. EIN votes "Elvis and Dewey" for the Best Elvis book of 2005, and one of the best of all-time. ’Elvis and the Memphis Mafia’ by Alanna Nash with Billy Smith, Marty Lacker and Lamar Fike. illuminating way in which Alanna Nash has captured and presented her potent narrative. Some fans will be unsettled by the discussion of Elvis' final erratic years, as well as seethe with anger at the many "creative" missed opportunities. Elvis and the Memphis Mafia thoroughly deserves its reputation as one of the best ever books written about The King should be an essential inclusion in all fan's Elvis libraries. Highly recommended. ‘Elvis Presley Memphis Recording Service Vol.1 1953-1954: The Beginning of Elvis Presley - The Birth of Rock 'n' Roll" - Different from other products, its creator, Joseph Pirzada has come up with a beautifully presented tri-fold-out digipack package housing a book, DVD audio CD and 7" vinyl single! Undoubtedly, the book's strong point is its many stunning color and b&w visuals and historic, archival reproductions of newspaper advertisements, billboard posters, reviews, program schedules and the like. With very good page design the text and visuals nicely complement each other. The DVD also features Elvis’ earlier recordings in great quality. With its stunning and well balanced visual, narrative and aural elements this is one of the outstanding and most interesting releases of 2005. We can't wait for Volume 2 in the series! Elvis: Behind The Image Vol 2 - 'Welcome To His World' - Bud Glass: A beautifully presented, hard cover book, featuring some 144 pages of high quality glossy colour & b&w photographs along with some wonderful stories from the likes of Sandi Miller, this is an exceptional production. Twice the size of the previous BTI Vol1, the front cover promises "never before seen photos" and 90% of this book is just that! It is just bliss from start to finish and from backstage 1950’s candids to late 70’s snapshots, this book has got every Elvis era covered. These previously unpublished rare candids are courtesy of private collections belonging to Bud Glass, Russ Howe and Sandi Miller – who once again opens up her delightful journals allowing us to read more of the private side of Elvis. This book is of high standard quality, splendid presentation and breath-taking content. An absolute must for Elvis fans. comments from Dolores Hart, Ann-Margret, Shelley Fabares, Mary Tyler Moore, & many more. Female fans will drool over the numerous full-page color shots of Elvis performing live on stage in the 1970s or off-stage practising karate and riding "Rising Sun" at Graceland, but what impressed me the most were the impressive and historically very rare black and white visuals from the 1950s. These include Elvis' first ever publicity shot, the print advertisement featuring Elvis promoting the Memphis-based Hungerford Furniture Company & a fan photo snapped before Elvis walked out on stage at the Overton Park Shell stage on July 30, 1954. The hardcover & proper binding also makes this quality product. Recommended. While the blockbuster combination of TV special, Book, CD and DVD disappointed many hard-core Elvis fans, this 2005 EPE project was really aimed at the general public - and to get Elvis’ image back in the public eye once again. Perhaps it should have been called "Elvis by The Beaulieus" but with so many tender moments spent with Lisa Marie & the family there was plenty to enjoy. At one point Lisa Marie very movingly describes the final years and even mentions her fear that Elvis would die, saying to him, "Daddy please don't die on me." Showing the very ‘family’ & private side of "Elvis The Legend", I felt that it achieved its goal. No one could watch this programme and not be emotionally moved. It just breaks your heart that such a generous man, who had so much to give, and who had so many people who loved him, could let it all slide away. How did it all go so wrong, so quickly? Dying at just 42 years old was a tragic waste - which this programme only emphasised. If you are not crying tears by the end then you can't be human. #2 – The Deluge of Elvis Bootleg DVDs. Elvis is still available for upcoming projects. Seeing Elvis sing ‘Oh Happy Day’ on stage or performing ‘Are You Lonesome Tonight/Love Me/I Was The One’ while sitting down playing electric guitar on August 12th 1970 is a true revelation! With the 30th Anniversary next year one can only hope that releases such as ‘TTWII – The full story’, ‘Elvis - On Tour: Special Edition’ & possibly ‘Elvis 30 #1 Video Hits’ are being prepared. beautiful camera work and an amazing sound (in 5.1 surround). Perhaps the true surprise is the lovely interaction with "guitar god" Eric Clapton playing a sensitive acoustic guitar, with Scotty Moore on electric. However the greatest joy is the humility of Scotty Moore himself, along with seeing him laugh & smile at all these great performances. His effortless playing and his grin makes it all look so easy, while he plays guitar licks that changed popular music forever. It is astounding to watch - I only wish I had been there! The extremely high production values and brilliant audio quality makes it an essential purchase for anyone interested in Elvis - or any one of the famous musicians who took part. This is a very rare find in a world of rush-released music DVDs. Definitely one of the best music DVDs to be produced last year. that interested in recording 'Burning Love' in the first place, it is great to see him sweating on and really getting into the groove of it in the studio. It is FANTASTIC stuff and every minute should be in the new DVD. There is a DVD's worth of quality and exciting in-studio material and possibly 2 more DVDs of Elvis in concert. 'Lost Performances' gave us the first glimpse of some fabulous missing footage but that was 13 years ago. Surely it is time, right now, to follow through with 'Elvis On Tour' the DVD set which at the same time will kill-off the spreading bootleg market. excellent use of slow-motion footage, demonstrates just how creative you can be. I have no idea who the editor was but this is a true labour-of-love and must have taken weeks of hard work. With a total running time of 4 hours and with 81 Elvis video clips, there is almost 'Too Much'! The real lesson here is that EPE/BMG need to consider releasing a professional DVD as creative as this for all Elvis fans. If Elvis’ legacy is to continue into the new Z-Generation then we need to see something new exciting and totally different to be in the market place, 2004’s ‘Bubba Ho-Tep’ movie was one of these off-the-wall projects. It was definitely not for every Elvis fan and I have no idea how EPE authorised it but a sequel is being filmed. 2005’s Off-The-Wall Elvis success was a reggae tribute CD! To be honest if I had heard one of these playing on a Caribbean beach I would have paid the price of this CD for just one of these vinyl originals, they are so much fun. And any CD that makes me want to play 'Wooden Heart' again has got to be really good! Get those bass sub-woofers rattling & get skanking for an unbelievably different Elvis experience. While this is of course not Elvis himself, if you like Elvis & a little bit of reggae, it is an essential summer CD. Even the CD cover has an amusing tongue-in-cheek style. Unfortunately two big mainstream events really let down the majority of Elvis fans in 2005. Despite Jonathan Rhys Meyers winning this year’s Golden Globe, his portrayal of Elvis in the mini-series was really terrible! The script was bad and even showed disrespect to its subject matter. Unbelievably for the first time a TV movie got the go-ahead from EPE to use Elvis’ real singing voice, and then failed us all with yet another half-baked project that seemed once again to undermine Elvis' credibility. While neither Ray Charles nor Johnny Cash were saints, their 2005 bio-pics in the cinema were extremely good insights into their amazing lives and worthy biographies of both men. CBS's mini-series however was the opposite and the 'If I Can Dream' ending was downright embarrassing. The Producers could have at least saved some of their dignity by using the real ‘68 Special’ footage for the final sequence. Although the looming 'This Is Elvis' film recut/DVD sounds promising, sadly it seems we will never see a definitive & worthy movie about Elvis' life in the cinemas. ‘Hitstory’ – BMG 3CD set. What should have been a great follow up to ‘Elvis 2nd To None’ was a lame 3-CD repackage and we even had to buy the first two CDs all over again just to get the third disc. With a minimalist design there was no exciting packaging or booklet. Sleeve notes & information would have been nice with such an extensive set of songs. On the chart listings there is absolutely nothing to explain why 1962’s ‘Suspicion’ is sandwiched between 1973’s ‘My Boy’ & 1977’s ‘My Way’. Yes, The Colonel is still alive & working at RCA! The mid-sixties section was incredibly weak & the audio variation between the tracks was awful - with no audio "DSD remastering" as advertised on CD3. While perhaps great value for money for the general public, this was another disappointment for Elvis fans. Did you miss these 2005 Reviews?